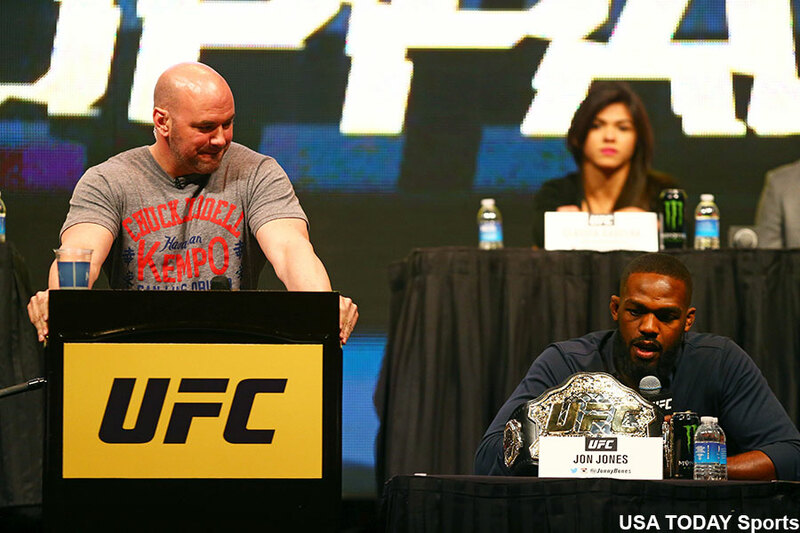 Is Dana White mad at Jon Jones, or is the former UFC light heavyweight champion upset with his boss? The answer to both questions is a resounding YES! And that’s the reason the two haven’t spoken in over 12 months. White revealed earlier this week to ESPN.com that, while he’s “not mad” at the most decorated light heavyweight champ in UFC history, they still haven’t spoken since Jones was yanked from UFC 200 just three days before showtime after flunking a pre-fight drug test. “Jon Jones and I still haven’t talked since the last time he pulled out of UFC 200,” White said. “I wasn’t happy with him and what happened with him falling out of UFC 200. I feel like we’ve been there for the guy every time he’s had a problem, and for him to do that at UFC 200, I was just… I was not happy. Jones’ rematch with bitter rival Daniel Cormier was slated to headline the historic event. The UFC was forced to frantically reshuffle the lineup, which resulted in a less-than-spectacular show. Jones reportedly missed out on an eight-figure payday for his abrupt exit from UFC 200, which means it cost the UFC far more. That will tick off the president of any company, especially one who already isn’t fond of you and your numerous arrests. However, Jones clarified his rocky relationship with White prior to Wednesday’s UFC 214 pre-fight press conference by stating it’s him who is not talking to White, and not the other way around. And he couldn’t have been any clearer with his disdain for White. “Dana White has reached out to me on at least four occasions, and I haven’t answered any of his calls or any of his text messages — that’s the reason we haven’t spoken,” Jones told the LA Times. “I just feel like when you’re making the company money and you’re a pay-per-view draw and you’re ultimately putting money in his pocket, then you mean a lot to him. Jones and White interacted briefly during yesterday’s presser, but that was to only answer the media’s questions. It’s highly unlikely they chatted backstage. White believes they will one day mend fences, but someone will have to extend the first olive branch. Don’t hold your breath. Based on Jones’ comments, he’s done dealing directly with White, and White has a long history of holding grudges against his biggest superstars (Please see: Tito Ortiz, Randy Couture, Frank Shamrock, etc.). The fact of the matter is, they don’t have to like each other to make money. Before the UFC was sold to WME-IMG last July, just two days after the disaster that was UFC 200, Jones was sidestepping White by negotiating with then-UFC CEO Lorenzo Fertitta. Jones gets the chance to reclaim the light heavyweight belt that he never lost in the cage while recouping the eight-figure paycheck he missed out on last year, and White will make much more money than that. If that happens, all will be right in the wacky dynamic between White and Jones once again.